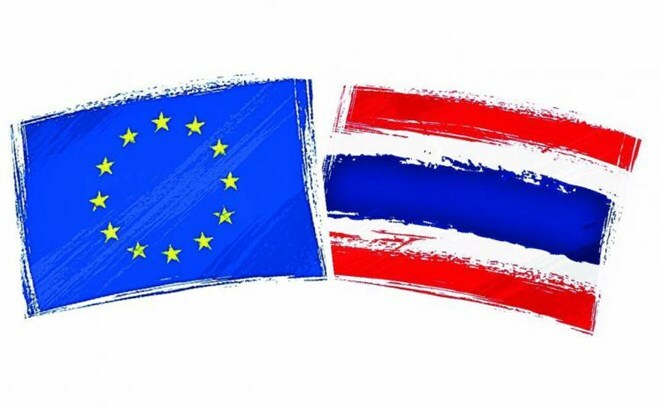 Bangkok (VNA) – The Government of Thailand has ordered the Ministry of Commerce and related state agencies to fast-track preparations for talks on a free trade agreement with the European Union after the bloc agreed to resume political contact with Thailand. The EU has been suspending political contact at all levels with Thailand since the military coup in Bangkok in May 2014. Thai Deputy Prime Minister Somkid Jatusripitak plans to pay an official visit to the EU in early 2018 to enhance the country’s relations with EU nations, particularly the UK and France. Negotiations for the Thailand-EU FTA was launched in March 2013, covering tariffs, non-tariff barriers, services, investment, intellectual property, regulatory issues, competition and sustainable development. The EU agreed to res​tore political contact with Thailand after the country made democratic progress this year by adopting a new constitution and committing to hold a general election in November 2018. But the bloc repeated its call for the restoration of full democracy in Thailand. Poj Aramwattananont, vice chairman of the Thai Board of Trade, said the decision by EU to resume political contact with Thailand, including FTA negotiations, is a good sign to solve the illegal, unreported and unregulated fishing issues.